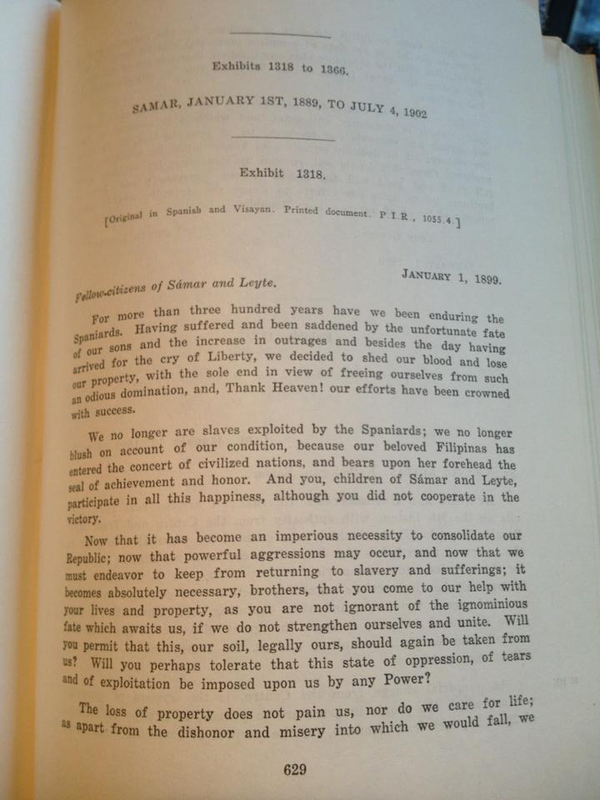 On January 1, 1899, General Vicente Lukban issued a long proclamation addressed to the citizens of Samar and Leyte, calling on them to stand united and to live in peace under the protection of the new-born Republic following the virtual evacuation of the Spaniards. Although little or no fighting occurred between the natives and the Spaniards, the withdrawal of the Spaniards made for the occassion for an open control of the area by the revolutionary authorities. Troops from Luzon were sent to Samar and Leyte area and General Lukban was charged with the affairs. 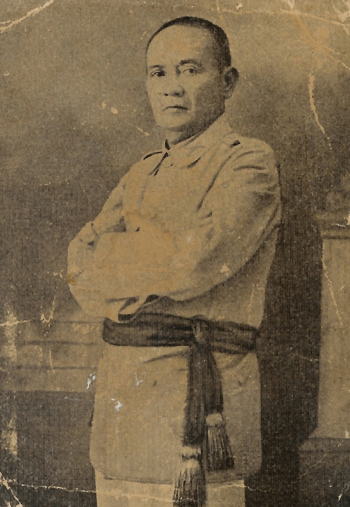 Sometime in late December 1898, following the signing of the peace treaty of Paris, Governor-general Diego de los Rios surrendered Iloilo, withdraw from the Visayas and retired to the distant outpost of Zamboanga where he managed for some months to maintain a semblance of Spanish rule. Even before this time, the people of Tacloban in Leyte, had constituted a provisional government and raised the Filipino flag, declaring their solemn adherence to the Philippine Republic and their loyalty to Aguinaldo and pledging their cooperation for the furtherance of the ideals of the new regime. What had occurred in Leyte, also took place, in a general way, in Samar and other islands. 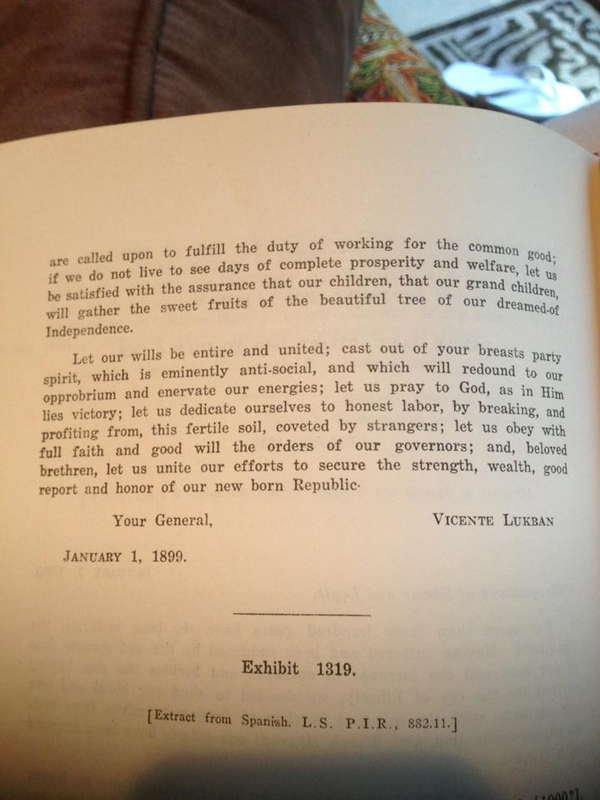 Below is a copy of the Lukban proclamation (courtesy of Alexei Lukban). Click on image to enlarge. The Philippine republic, Fernandez, Leandro Heriberto, New York, 1926.